The latest image of sea surface heights in the Pacific Ocean from NASA's Jason-2 satellite, based on the average of 10 days of data centered on Jan. 26, 2013, shows that the equatorial Pacific Ocean is now in its 10th month of being locked in what some call a neutral, or "La Nada" state. "La Nadas" make long-range climate forecasting more difficult due to their greater unpredictability. 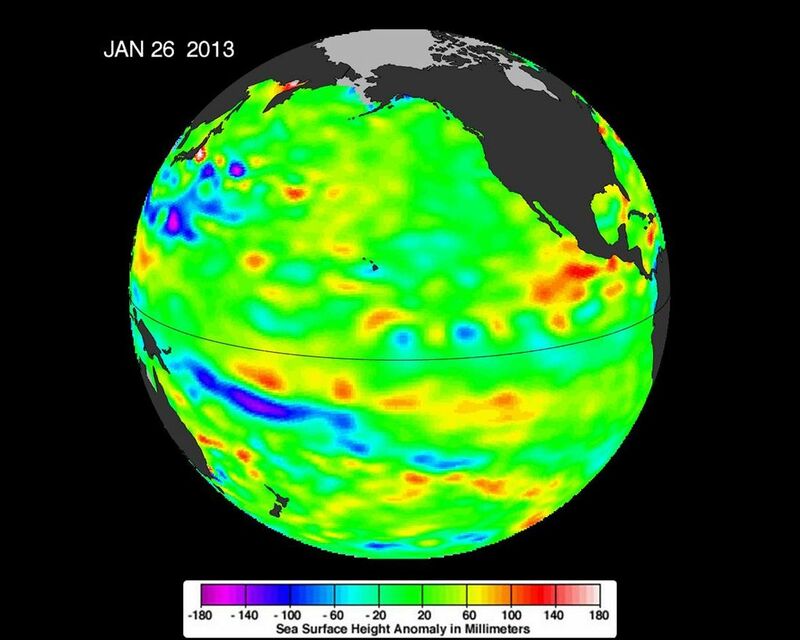 Yellows and reds indicate areas where waters are relatively warmer and have expanded above normal sea level, while blues and purple areas show where waters are relatively colder and sea level is lower than normal. Green indicates near-normal sea level conditions. 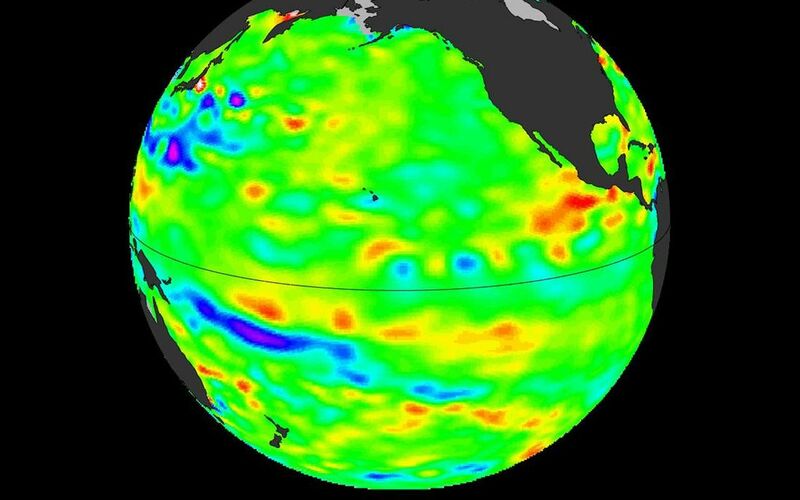 The comings and goings of El Nino, La Nina and La Nada are part of the long-term, evolving state of global climate, for which measurements of sea surface height are a key indicator. Jason-1 is a joint effort between NASA and the French Space Agency, Centre National d'Etudes Spatiales (CNES). Jason-2 is a joint effort between NASA, the National Oceanic and Atmospheric Administration, CNES and the European Organisation for the Exploitation of Meteorological Satellites (EUMETSAT). JPL manages the U.S. portion of both missions for NASA's Science Mission Directorate, Washington, D.C. In early 2015, NASA and its international partners CNES, NOAA and EUMETSAT will launch Jason-3, which will extend the timeline of ocean surface topography measurements begun by the Topex/Poseidon and Jason 1 and 2 satellites. Jason-3 will make highly detailed measurements of sea level on Earth to gain insight into ocean circulation and climate change. 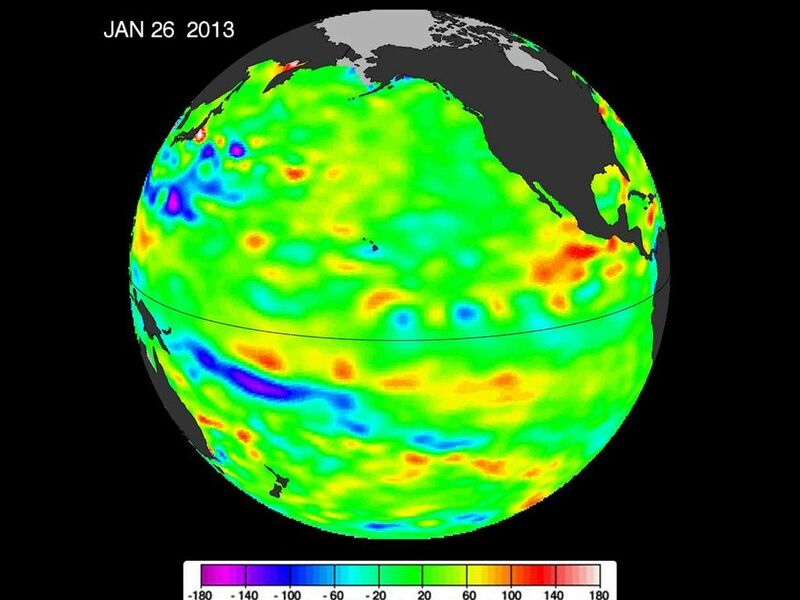 For more on NASA's satellite altimetry programs, visit: http://sealevel.jpl.nasa.gov.